HARRISONBURG — Watch out, cyclists coming through. The idea came from the Shenandoah Valley Bike Coalition during a Bicycle and Pedestrian Subcommittee meeting in October 2017. The SVBC staff saw other communities, including Charlottesville, Norfolk and Fairfax County, using the signs as a way to inform vehicles that cyclists are allowed to use the full lane if necessary. Lawrence said he would like to see the city put in designated physical, guarded bike lanes instead of just having paint on the road. “With no actual guard and small lanes, a car will try to squeeze by the cyclists. It’s just not safe,” he said. Adding physical lanes is a large task and will require significant infrastructure changes, but Lawrence said Harrisonburg could test the idea out by putting temporary bike lane guards up on the right side of South Liberty and South Main street. Public Works Planning Manager Erin Yancey said that after researching into the benefits of adding the signs at the downtown entryways, staff concluded that it will be safest for cyclists. 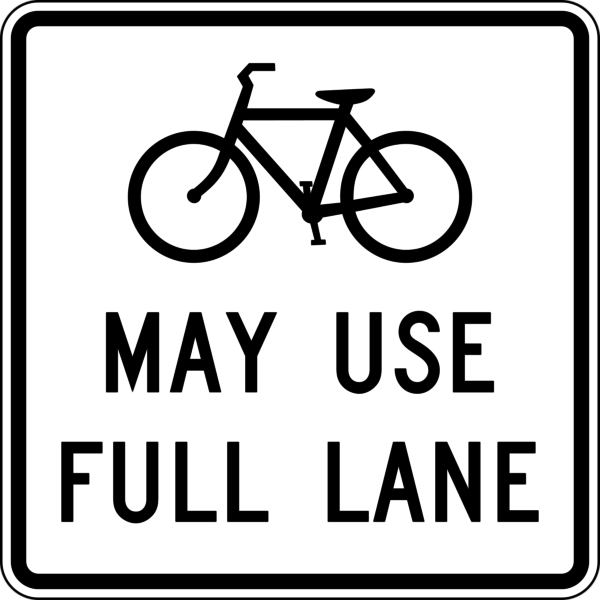 Yancey said it is important to remember that it is legally required in Virginia for cyclists to ride in the right lane if possible. Vehicles are supposed to give cyclists at least 3 feet of space on the right side of the road. The signs are located on East and West Market streets, on Mason Street near Martin Luther King Jr. Way and Gay Street and southbound on South Liberty Street. Yancey said the signs cost the city a few hundred dollars. “That’s the nice thing about signage is that it’s extremely inexpensive,” she said. In accordance with the Harrisonburg’s Bicycle and Pedestrian Plan that lays out a strategy to build shared-use paths connecting the north and south parts of the city, staff have a long-term strategy to make walking and cycling more user-friendly. The plan is to connect trails from the Northend Greenway near Eastern Mennonite University to South Federal Street and Bluestone Trail. Yancey said staff has a project in the works for Federal Street to add a bike path. The city has funding for one block on Federal, which will cost more than $600,000, and is expected to be completed in 2020.